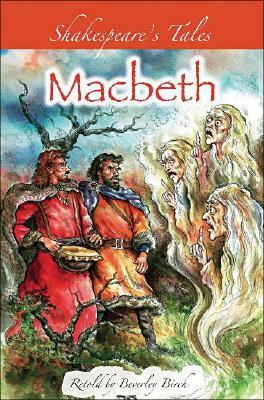 "All hail, Macbeth that shall be king hereafter " With these dramatic words the weird sisters fire Macbeth with an all-consuming desire to be King of Scotland. And neither he nor his wife, Lady MacBeth, will stop at anything to gain the throne. A story of ambition, murder, and madness, "Macbeth" contains some of the most memorable characters in English literature. This short and accessible retelling captures the style of Shakespeare's original language. Beverley Birch is the author of more than 40 books, including "Lottie and the Bird of Light," "Rift," "Sea Hawk," and" Sea Moon.""